Palm tree in front of building. 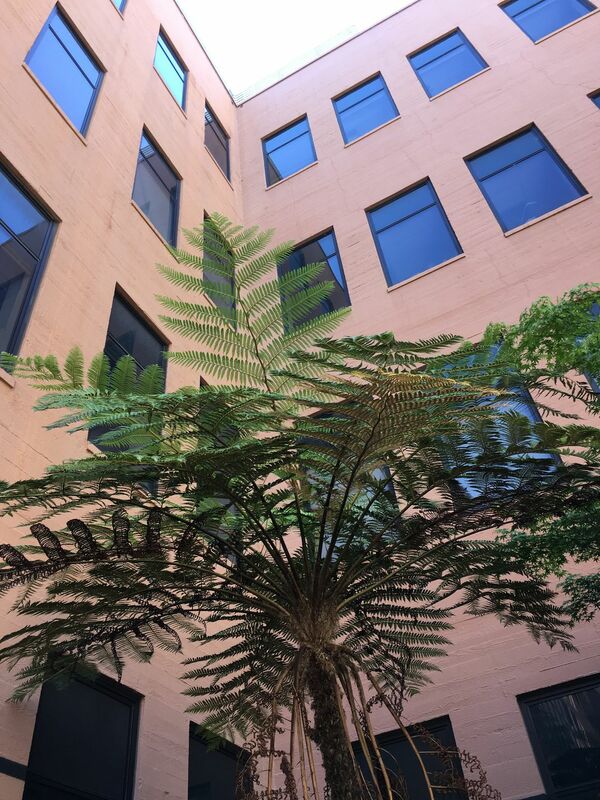 A single palm tree stands in the courtyard behind a tall building. The building, with peach colored walls and blue windows, stands tall behind the tree, both reaching up to the sky. Date Uploaded: June 24, 2017, 3:18 a.m.